Brett P. Hall recently received advanced level training, from the American Association of Premier DUI Attorneys, on how to use fatigue and drowsiness to fight DUI cases. Brett received training on the how drivers arrested and prosecuted for being under the influence of alcohol and/or CNS Depressants can easily be misdiagnosed and wrongfully arrested for DUI when they were simply fatigued or drowsy at the time of the incident. The information in this training was provided by Adam Pollack. Mr. Pollack is an AAPDA Executive Member of the Association. Mr. Pollack’s office is located in Orlando, FL and his website is http://orl-law.com/. Brett P. Hall is a partner with Hall & Wingert, P.L.C., located in the Francis Building in downtown Sioux City, Iowa. Mr. Hall provides conscientious and practical legal advice to his clients in a variety of matters of law. 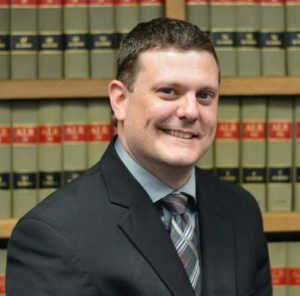 Mr. Hall strives to work with his clients in obtaining the outcome they desire while providing advice and counsel throughout the legal process. Mr. Hall has attended training developed by the National Highway Traffic Safety Administrations (NHTSA) regarding Standardized Field Sobriety Testing (SFST). This training, used to train police officers in the detection of impaired drivers, teaches students to understand the tasks and decisions involved in identifying the intoxicated driver, OWI detection process, and the effects of OWI enforcement. It covers the three standardized field sobriety tests: 1) Horizontal Gaze Nystagmus; 2) Walk and Turn; and 3) One Leg Stand. Further, the class instruction teaches students how to administer the three NHTSA standardized field sobriety tests, the typical clues of intoxication by alcohol, divided attention testing, and scoring protocols SFST validation studies. This education allows Mr. Hall to analyze and identify potential testing errors by police officers regarding the administration of the field sobriety tests.